We are pleased to announce our LASI’19 keynotes for this year’s event! We are looking forward to hearing from Dr. Ido Roll from The University of British Columbia and Dr. Phil Winne from Simon Fraser University. Ido Roll is the Director of the Institute for Scholarship of Teaching and Learning at the University of British Columbia (UBC). Ido studies how interactive learning environments can support students in becoming better learners and scientists, focusing on the development of scientific literacies, creativity, and sense making. He also supports faculty members in researching their own teaching and studies how learning data can inform teaching. His research is rooted in frameworks and methodologies from education, the sciences, cognitive science, learning analytics, and human-computer interaction, and his publications in these fields have won numerous awards. 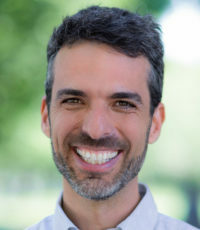 Ido was the program chair of Learning at Scale 2016, and a guest editor of the Journal of Learning Analytics and the Journal of Artificial Intelligence in Education. He also leads the Scientific Creativity assessment at PISA. Ido received his PhD from Carnegie Mellon University. More can be found on his website, http://www.idoroll.com. Phil is a Fellow of the American Educational Research Association, American Psychological Association, Association for Psychological Science and Canadian Psychological Association. A 2-term Tier I Canada Research Chair in Self-Regulated Learning and Learning Technologies, he has published more than 175 scholarly books, articles, book chapters, and refereed proceedings. 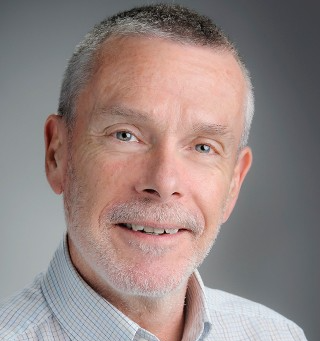 Phil has been awarded the Robbie Case Memorial Award for outstanding contributions to educational psychology in Canada, the Barry J. Zimmerman Award for exceptional theoretical and empirical scholarship in research on studying and self-regulated learning, and the Mentorship Award by the Canadian Society for the Study of Education. Since completing his PhD at Stanford University rather long ago, Phil has been working on a puzzle with pieces formed from research in learning science, learning technologies and learning analytics. He conceptualizes successful self-regulating learners as learners who work at monitoring what they do to learn, tracking results of their work, and experimenting with new approaches they predict might be more effective or more satisfactory (e.g., faster). This closely parallels what learning scientists do. But – students lack high-quality tools for gathering and analyzing data, and they are not well educated in the scientific method. Phil describes one way to support learners as learning scientists and the key role learning analytics will have in productive self-regulated learning.